Advocating ‘beauty that breaks the rules’, Too Cool For School is dedicated to bringing the latest trends fresh from Korea and wrapping them up in playful packaging for a unique beauty experience. The natural way to keep your complexion dewy, this hydrating facial mist is formulated with 87% pure Brazilian coconut water, which is rich in minerals, vitamins and fatty acids to prevent moisture loss and keep you glowing all day long. Formulated with 87% pure Brazilian coconut water, Too Cool For School’s Coconut Milky Mist is the secret to a permanently dewy, refreshed visage. Coconut water is packed with essential vitamins, minerals and fatty acids, which form an invisible, lightweight layer that prevents water loss and keeps skin hydrated all day. 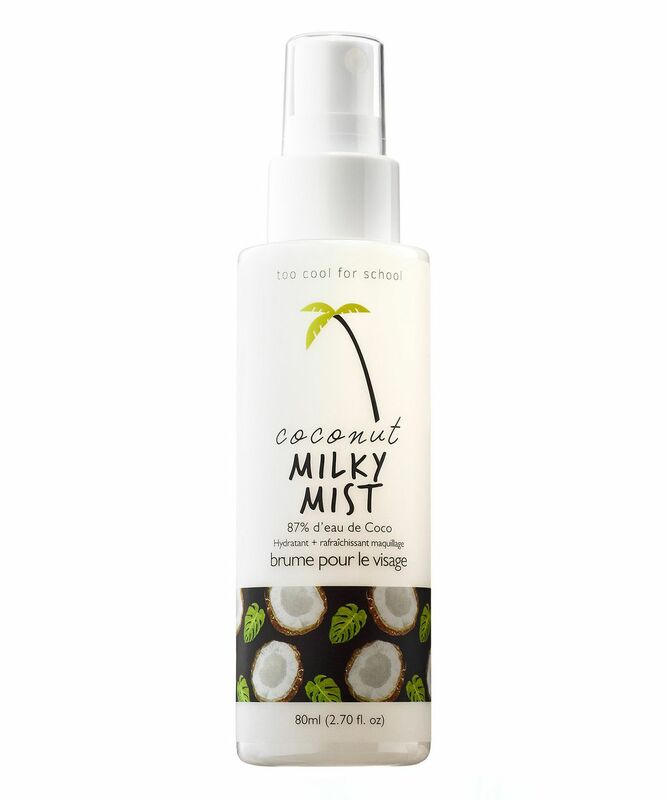 With this convenient, multi-purpose mist, you can unleash natural goodness anytime, any place. Delivered as an ultra-fine cloud of coconut goodness, it can be used at any point before or after make up to quench thirsty skin; it’s also perfect as a post-cleanse moisturising toner. - After cleansing, sprits a few pumps and gently pat to absorb. -Follow with serum or moisturizer. -Whenever feeling dry, sprits a few pumps to hydrate dry skin or to create dewy glow under or over makeup.